choice of one of eight dogs. 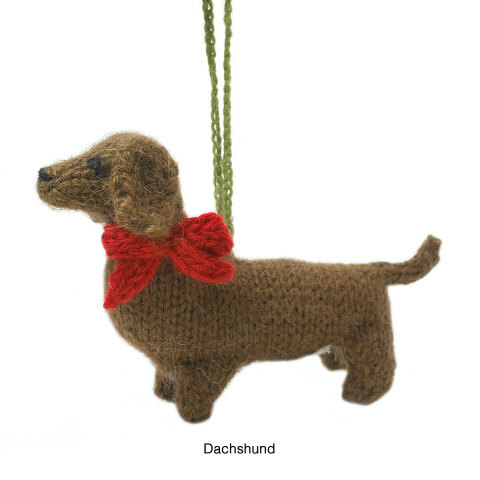 Whether your dog of choice is a dachshund, poodle, or a terrier, you can have one (or more) cute dogs hanging on your tree this Christmas. 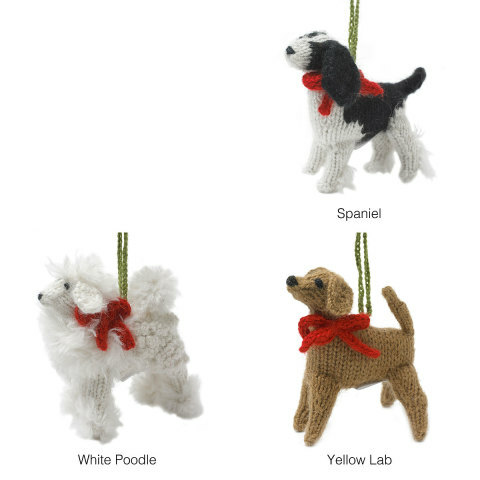 These pleasing pooches are hand knit along the shores of Lake Titicaca in Peru. Titicaca -- sounds like what your dog does when you take it out for a walk. These canines are as cute and cuddly as your live dog. They are made of Alpaca wool and are stuffed with polyfill. The sale of these darling dogs helps the women in low-income farming families earn additional income while continuing the practice of traditional needlework techniques. 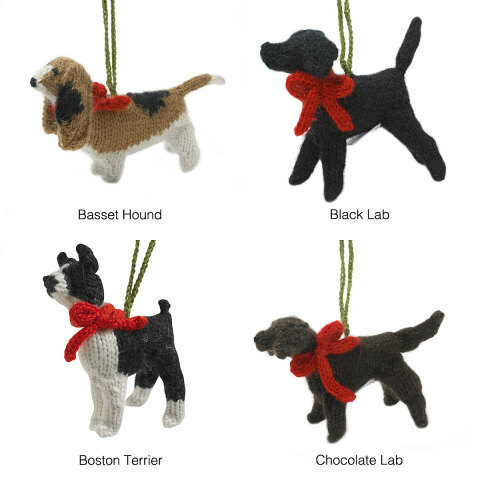 To order a Hand Knit Dog Ornament for yourself of a Fido-loving friend, click here. Need Some Help Taking Down The Christmas Tree? The Bonus Animal Video Of The Day!! !